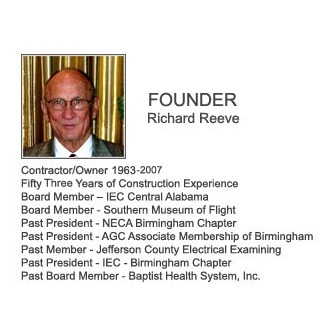 Reeve Electric Company, an Alabama corporation, was founded by Richard Reeve in August, 1963 as an electrical contracting firm serving commercial businesses in the Birmingham, Alabama area. Since those early days, Reeve Electric has become highly diversified by completing projects requiring extensive technical capabilities, including data centers, banks, medical facilities, office buildings, churches and industrial projects. A closely held private concern, Reeve Electric is currently co-owned by Ken Reeve (President/Secretary) and Robert Reeve (Vice President/Treasurer). 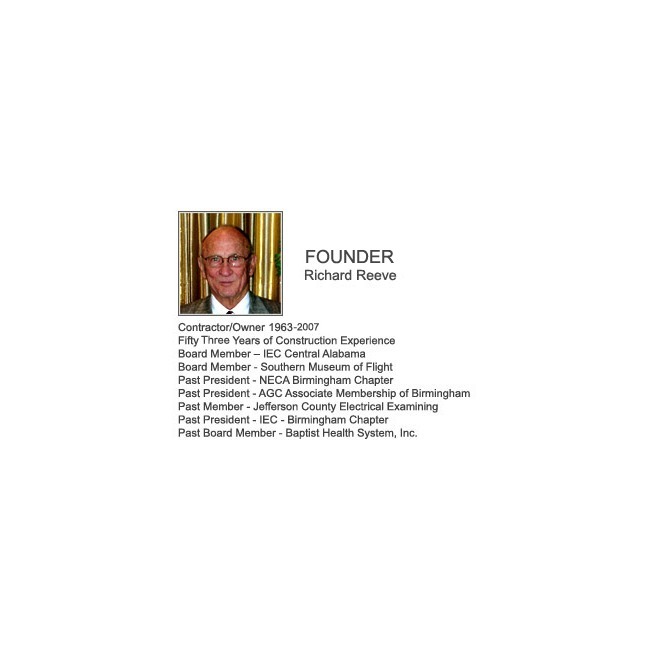 Along with the extensive experience and background of each managerial employee, Reeve Electric also has on staff the professional services of an electrical engineer and a BICSI RCDD®. Our mission is to nurture long-term partnerships with our clients, exceed their expectations and continue leading our industry in service and satisfaction.